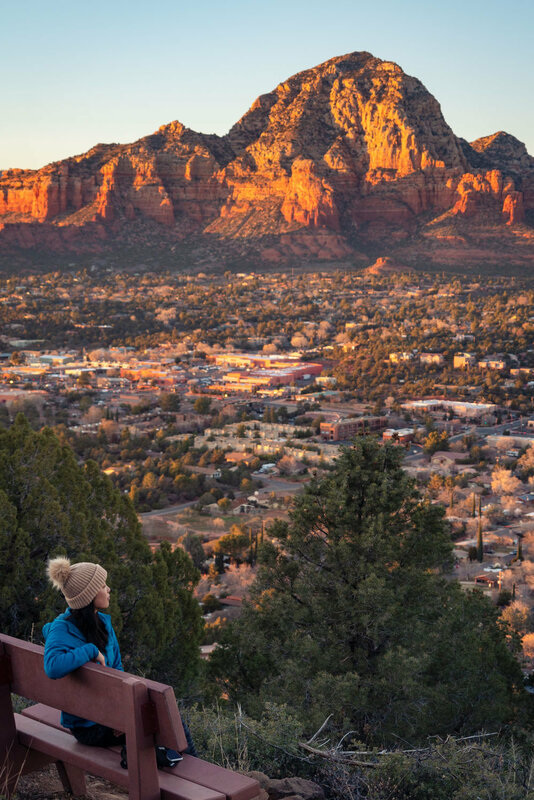 At first glance, Sedona doesn’t seem like a prime outdoor destination, but each time I visit, I uncover more and more reasons why I just love the vibe of this Arizona town so much. 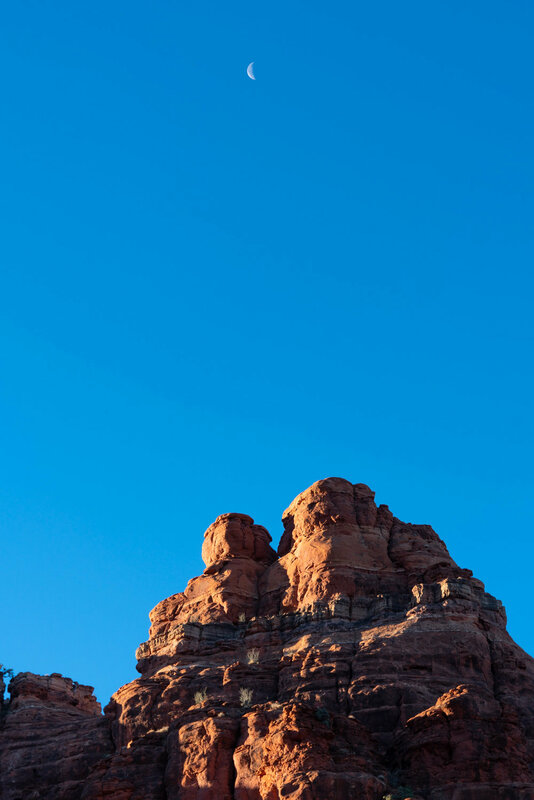 There’s tons opportunities for mountain biking, hiking, and even climbing complete with some of the most unique red rock towers and desert views. 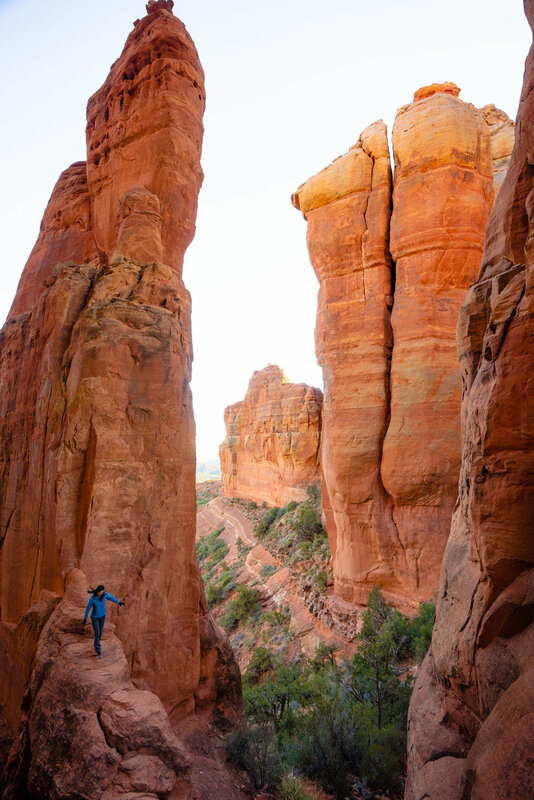 Here are some of my favorite hikes in the area that are short enough to squeeze in on any trip to Sedona, Arizona! This particular hike was the main reason I first visited Sedona, Arizona back in 2012. That October I came to backpack up the Oak Creek Canyon for my birthday for two days. I had such a great time I came back the following year to do the same overnight trip and spend another birthday weekend in some of the best fall colors I’ve experienced to date. I love the tall red canyon walls above and seeing all the happy dogs tramping around in the creek. Even if it isn’t fall, I still feel like this area of Sedona is still worth a visit, I’d love to see Oak Creek in the lush spring and under a fresh coat of snow. Most people turn around when the water fills the entire trail, but you can also keep hiking in the creek (bring your water sandals) and keep going as far as you want! 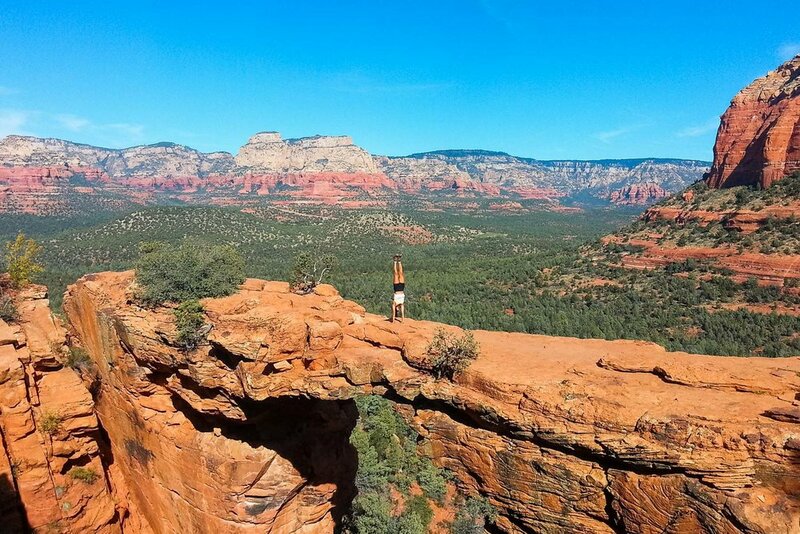 A well-known hike popularized by social media, the hike to Devils Bridge is a perfect day hike for most visitors. The dramatic bridge at the end that you can walk out onto makes for a great reward at the end of your hike! Besides the photo finish at the end, there are also great views looking out over the valley during the final climb up. This is one of my favorite hikes in Sedona. You can spot the massive towers from the very start of the hike, and the trek up to the ridge is varied and interesting as you make your way up the red slick rock. Once you emerge up onto the ridge, you’ll be stunned by the incredible view overlooking the valley, almost as if someone had purposefully carved out this perfect amphitheater. There is even a flat rock to the right that makes the perfect platform for photos or watching the sunset. This is a great spot for sunrise that brings you almost eye level with the base of Courthouse Butte, making it a great spot for photographing the surrounding tall towers. 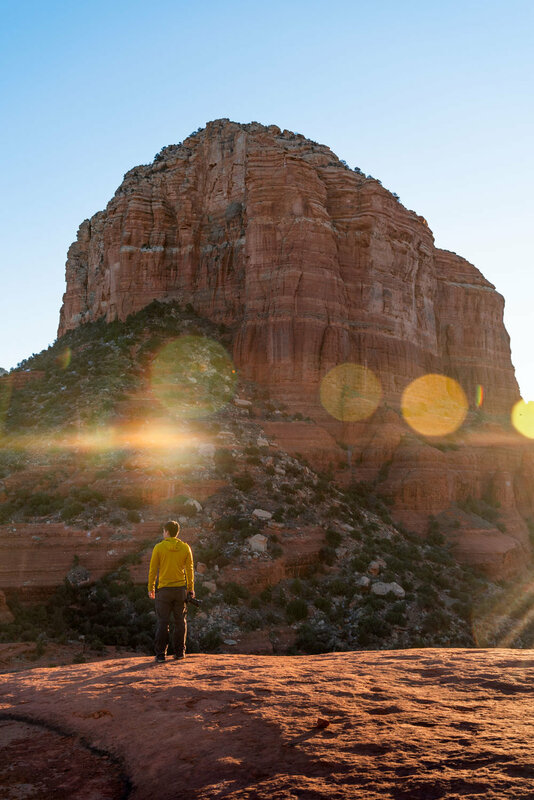 My favorite part is the final scramble up to the top of Bell Rock where you’ll get 360 views of the surrounding valley and tall red rock cliffs in the distance, but you don’t need to make the exciting scramble up to still enjoy the surrounding Sedona landscape. Not as well known as some of the above hikes and slightly off trail, this is the coolest cave I’ve personally ever hiked to. Gems like these are what make me love the red rock country here so much - you never know what you’re going to find! I loved hanging out in this cave and marveling at how something like this formed. This is more of a leisurely walk than a real hike, but the Birthing Cave is still one of my favorites in the area since it is so unique. When you’re inside the cave looking out over the valley, you can really soak in the peacefulness and spiritual energy of the area. This spot has become quite popular because of its easy access - it is essentially on a hill right in the middle of town! Don’t let it’s crowdedness deter you, as it is still worth checking out and can be a great spot for sunset. What I love most about this spot is seeing the buildings and the houses below juxtaposed with massive natural red rocks in the background. The cost to park in the dirt lot at the top of the hill will cost you $3.00 (as of 2019), and from there you can hike the loop trail to get away from some of the crowds for some incredible panoramic views of Sedona. Not really a specific hiking trail, the Crescent Moon Picnic Area is a great place to walk along the river, enjoy a picnic, or photograph some of the red rock towers reflecting over some flowing water. Although it is a small place, there is so much beauty here. I loved photographing the simple wooden sheds, the interesting trees here, and the lesser known side of Cathedral Rock. 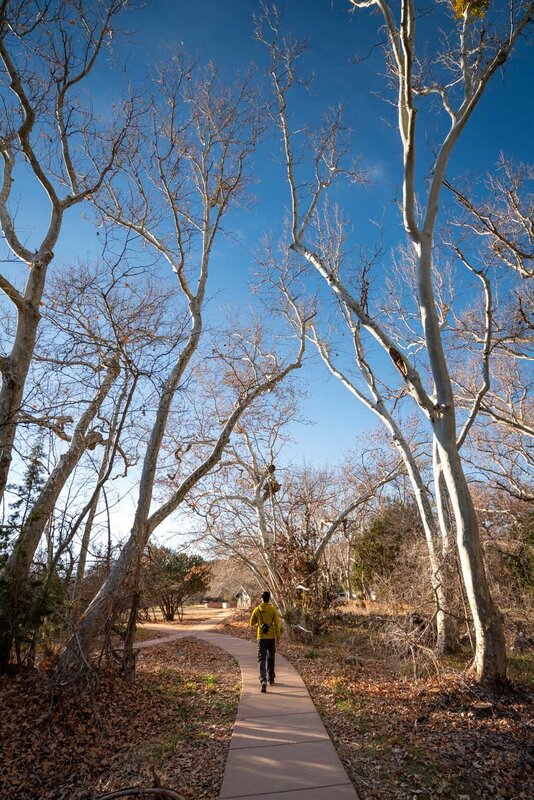 There are endless trails to pick from in Sedona, and no matter which hike you end up on, you’re in for a treat!